Conveniently located just outside of Ocean County, Thoracic Group is an established and respected practice with a history of success. Our surgeons were among the first to perform Video Assisted Thoracic Surgery (VATS) in the early 1990s, and since then have performed over 7,000 successful minimally invasive surgeries. The procedure is used in surgery for cancer, infection, collapsed lung, cysts, myasthenia gravis, and other conditions of the lungs and chest. Our two board certified surgeons work together in the operating room, giving patients the highest quality of care and attention. Minimally invasive surgery is an appealing option for those with thoracic conditions, given the quick postoperative recovery period and reduced risk of infection because of smaller incisions. Dr. Robert Caccavale is a Fellow of the American College of Surgeons. 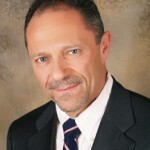 He is the Chief of Thoracic Surgery at Robert Wood Johnson Medical Center, Somerset. He is board certified by the American Board of Thoracic Surgery. Since obtaining his medical degree, Dr. Caccavale has devoted himself to the practice of thoracic surgery with a special interest in thoracic oncology. Dr. Jean Philippe Bocage is an experienced thoracic surgeon, with a focus on minimally invasive thoracic surgery and thoracic oncology. 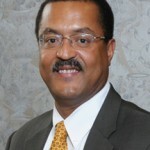 He is the Chief of Thoracic Surgery at St. Peter’s University Hospital and Robert Wood Johnson Medical Center, Somerset. He holds an academic position at Rutgers Robert Wood Johnson Medical School. Lung Cancer: After diagnosing the subtype of lung cancer, our surgeons determine the appropriate treatment option and operate when appropriate, specializing in the VATS procedure. Second Opinion: Lung cancer and other thoracic conditions can be sensitive and challenging topics for patients to address. Our surgeons, with their years of experience, can guide you through the process and ensure you are making the right decisions for your health. Hyperhidrosis: This condition results in profuse sweating without a specific trigger. With a minimally invasive procedure, our surgeons can markedly reduce sweating of the palms, giving patients a much-needed solution for this condition, providing both physical and mental relief. Our Freehold office is in close proximity to Ocean County, located off of Route 9 on the CentraState Medical Center campus. From Ocean County, the office can be reached via Route 9 or Route 18 north to Route 537 west. Please use the map to the right for directions from your location. To schedule an appointment with our surgeons, please call (732) 637-6348 or fill out an appointment request.